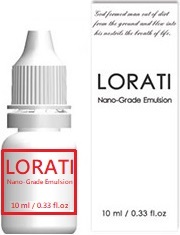 LORATI - purchase - eye drops for macular degeneration, glaucoma, Cataract & diabetic retinopathyNano-grade eye drops have been sold to 26 countries/regions across 5 continents, including the US, Canada, Colombia, Bolivia, the UK, France, Belgium, Sweden, Switzerland, Ukraine, Lithuania, Slovakia, Turkey, Pakistan, South Africa, Nigeria, India, Malaysia, Vietnam, Philippines, Hong Kong, China, Taiwan, Singapore, Australia, and New Zealand. Nano-grade eye drops have been sold to 26 countries/regions across 5 continents, including the US, Canada, Colombia, Bolivia, the UK, France, Belgium, Sweden, Switzerland, Ukraine, Lithuania, Slovakia, Turkey, Pakistan, South Africa, Nigeria, India, Malaysia, Vietnam, Philippines, Hong Kong, China, Taiwan, Singapore, Australia, and New Zealand. For order amount under $1,500, please use PayPal to make the payment. For your information, PayPal also accepts Credit Card. For order amount over $1,500, please use Wire Transfer for the payment. Thank you. ※　Please include your name, address, and phone number when placing an order. ※　Please send us your email address, indicating how many bottles you would like to purchase. We will reply with ﻿an invoice from PayPal﻿, where you can choose to pay by Credit Card. ※　Bank：E.Sun Commercial Bank, Ltd. The nano-grade eye drops (nano-grade emulsion), known as the real stem cell therapy, are intended for the treatment of glaucoma, macular degeneration, cataract, diabetic retinopathy, diabetic macular edema, eye stones, Coats, dry eye, eye floaters, iritis, vitreous detachment, retinal detachment, Stargardt disease, and presbyopia. In addition, nano-grade eye drops have also been proven effective for bacterial and viral infections as well as eye inflammation, which include keratitis﻿, conjunctivitis (pink eye), red eyes, dry eyes, corneal ulcer, ocular herpes, and uveitis. Content: 1% Montmorillonite & Beidellite, 99% Pure Water. Storage Temperature: Above 5 degress Celsius. Remark: After opening, please use it up within three (3) months. NOTE: Shipping charge is included. International orders will be shipped via postal service. REMARK: Existing customers can still purchase nano-grade eye drops at the previous price. If your eyes are normal, you will not feel any discomfort when applying nano-grade eye drops to your eyes. However, if your eyes have problems (e.g. dry eye, macular degeneration, glaucoma, cataract, etc. ), you will experience the sting immediately after applying the eye drops, which is perfectly normal. The stinging sensation will go away in a few minutes. The worse the condition of your eyes, the more intense the pain.﻿ The pain will lessen gradually each week and will disappear once your eye disease is completely reversed. Some people will have eye redness, which is also perfectly normal. It is not a sign of conjunctivitis or inflammation. Rather, it is caused by the process of clearing the occluded capillaries. Again, the worse the condition of your eyes, the larger the area of redness. This sympton will lessen gradually and will disappear once your eyes are back to normal. If you wear contact lenses, you must remove your contact lenses first before applying nano-grade eye drops.